Israeli military vehicles entered dozens of meters into the northern besieged Gaza Strip, on Monday. 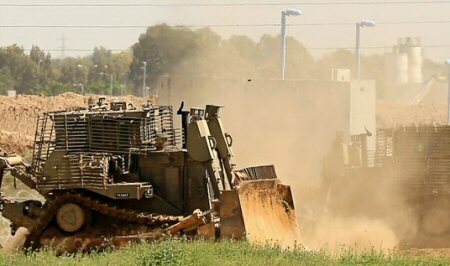 A Ma’an reporter said that four large D-9 Israeli military bulldozers entered dozens of meters into Palestinian lands, north of Beit Hanoun, and began to raze the lands as drones flew overhead. 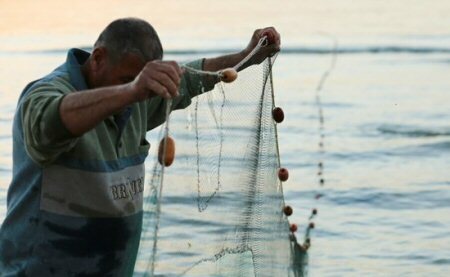 Also on Monday, Israeli naval forces detained a 22-year-old Palestinian fisherman while working off the coast of the northern besieged Gaza Strip, on late Sunday.